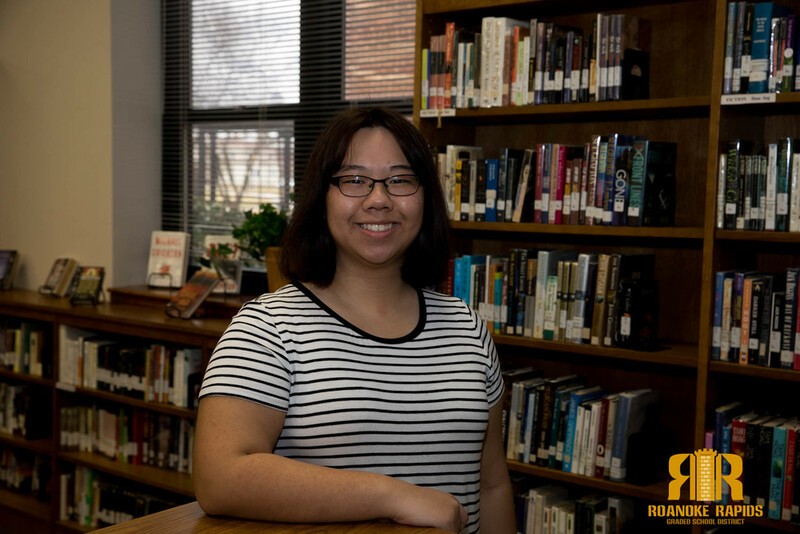 Roanoke Rapids High School Senior Alison Chau is the recipient of this year’s Ethel Crawley Scholarship giving her a free undergraduate education to the college of her choice. The Ethel W. Crawley Memorial Education Fund Scholarship directs a scholarship selection committee to award a full four-year scholarship that will cover tuition, room, board, school fees, and books. In addition to the scholarship, the recipients will receive additional money to purchase a computer. Chau who is member of the National Honor Society, captain of the school’s Quiz Bowl team, and president of the Students Helping Students organization plans to attend The University of North Carolina at Chapel Hill this fall and major in English and education. She currently volunteers with the district’s English as a Second Language (ESL) program and says she would like to one day become a teacher in a similar program. “I’m grateful to the committee for choosing me and all the people who have supported me through this process. I’m excited to begin my college education and what the future holds for me,” Chau said. Ethel Crawley died April 11, 1998, and was a lifelong resident of Littleton, teaching music for 28 years at Littleton High School. Her scholarship and benefited dozens of Roanoke Valley students over the years.